It’s open for different projects in field of art, design, architecture, dance, theater, performance, film and music. 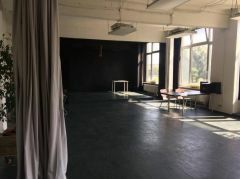 Within our co-working space there will be upcoming workshops, lectures, readings, cultural events, art fairs and more. Something for everyone to get involved, see and indulge in. Welcome and have inspiration from the river, light and relaxed atmosphere.